Dr. Reuben Cook is assistant professor in Sport Hospitality in the College of Environmental Sciences (CHES) at The University of Alabama. He teaches Sport Finance (HES 563: Finance & Accounting in Sports) and the Sport Law course (HES 565: Legal and Ethical Issues in Sports) along with an undergraduate/graduate managerial accounting course (RHM 474/574) for the Restaurant & Hospitality Management Program and Quantitative Methods of Finance (CSM 116) for the Financial Planning Program in CHES. Dr. Cook has served on UA Intercollegiate Athletics Committee and recently was the only faculty member on the search committee for Vice President of Advancement. He has served for the past 5+ years on the Faculty Senate where he serves as Co-Chair of the Financial Affairs Committee and serves as a member on the Faculty Senate Steering Committee. In addition, Dr. Cook serves on the UA Parking and Transportation Committee; Student Recreation Center Risk Management Committee; and International Education Committee. Within CHES, he serves as the American Disabilities Act (ADA) Coordinator. Dr. Cook received his Bachelor of Science degree in accounting and Juris Doctorate from The University of Alabama and his Tax LL.M from Emory University. He has been a member of the Alabama, Georgia and Florida State Bars. 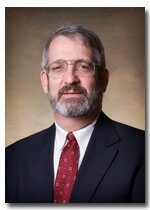 Dr. Cook has experience in the tax and general practice of law and experience in banking and insurance. He is a graduate of the U.S. Army Infantry Officer Basic Course. Dr. Cook has been with The University of Alabama since 1988 starting with the Law School (Clinical Law Disability Program) and he has been with CHES since 2004.